The Concrete Laydown Kibble is a heavy duty roll-over style Kibble for use by overhead crane. 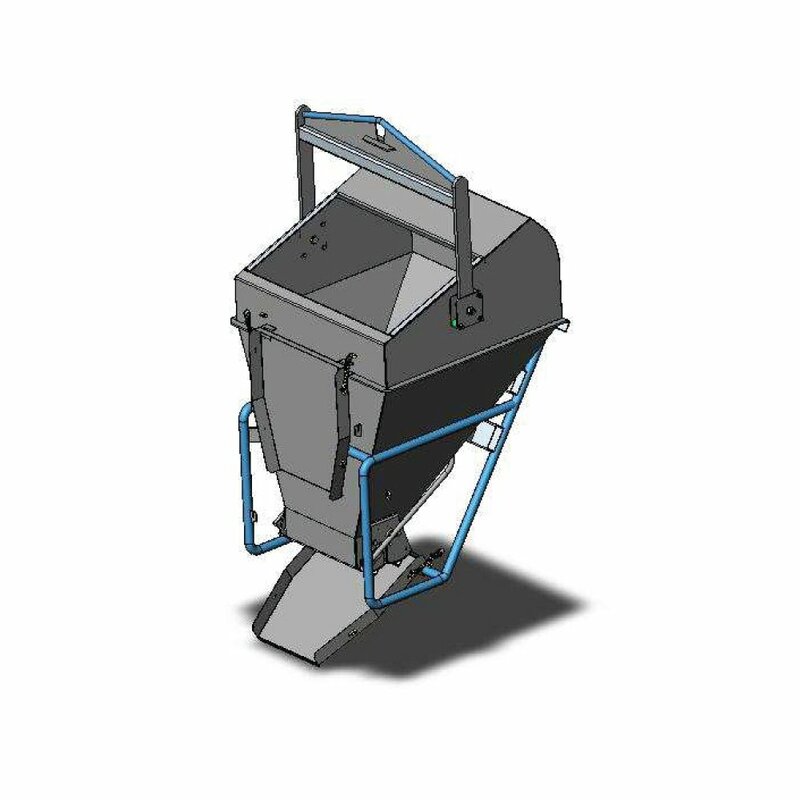 It can be used for both bottom discharge or front discharge with the use of the adjustable chute. This unit is lever operated from either side, allowing flexible operation.